Using heat from Halifax Water's sewage plant to warm, cool buildings could save 262,000 tonnes of greenhouse gas emissions over the next 30 years. Demolition work should begin later this year to replace the failed overpass with a brand-new neighbourhood, built from scratch. 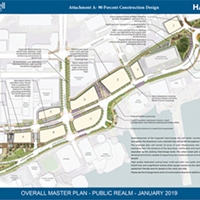 An early endorsement has been given by Regional Council to creating a district energy system on the Cogswell Interchange lands slated for redevelopment. Halifax Water plans to use heat from the nearby sewage treatment plant to create enough thermal energy to heat and cool the six acres of mixed-use developable lands HRM will sell off once the concrete overpass gets town down in the next few years. The business case for the project, however, relies on mandatory connections for any new structures to be built. Council needs to seek amendments from the province to HRM’s Charter for that power, and staff will need to invent new planning mechanisms to ensure compliance from any developers who buy the new lots off of the city. Those conditions didn’t sit well with Lower Sackville councillor Steve Craig. A mandatory hookup for district energy systems is “fairly consistent” in other cities, according to HRM’s chief planner Bob Bjerke. “You need to know that base load is going to be there, to justify the infrastructure cost,” Bjerke told council on Tuesday. 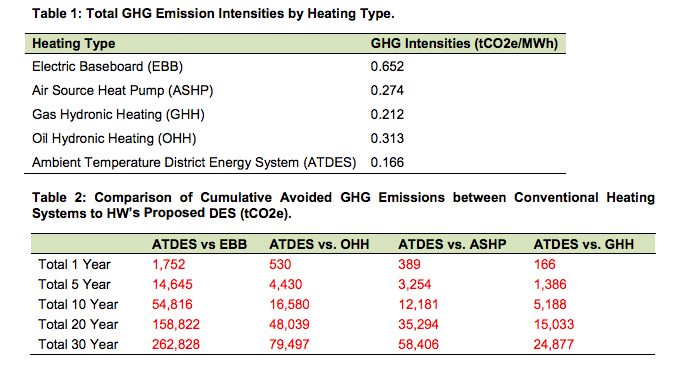 A comparison of traditional heating types to an ambient temperature district energy system, and subsequent savings in greenhouse emissions. Despite Craig's hesitations, council voted unanimously to move the district energy project along to its next stage. 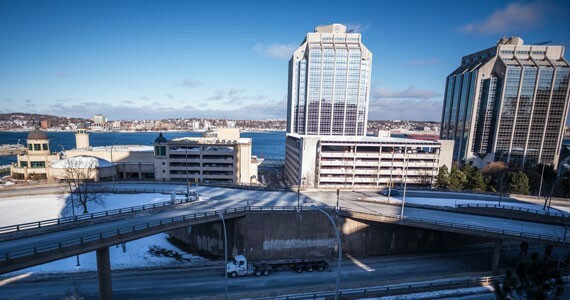 The go/no-go decision for the Cogswell redevelopment is expected this summer. Detailed design work and business plans for the district energy system could then be ready for council’s approval as early as the fall. If the system isn’t installed, HRM staff estimate the new Cogswell developments will generate about 262,000 tonnes of greenhouse gas emissions over the next 30 years—equivalent to 55,000 cars driven for a year or 1,400 railcars of coal burned.